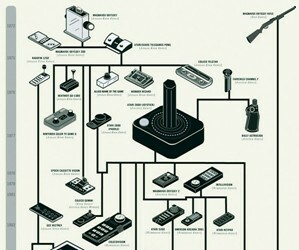 The complete evolutionary tree of the video game controller, tracking 82 species and 9 genera over four decades. 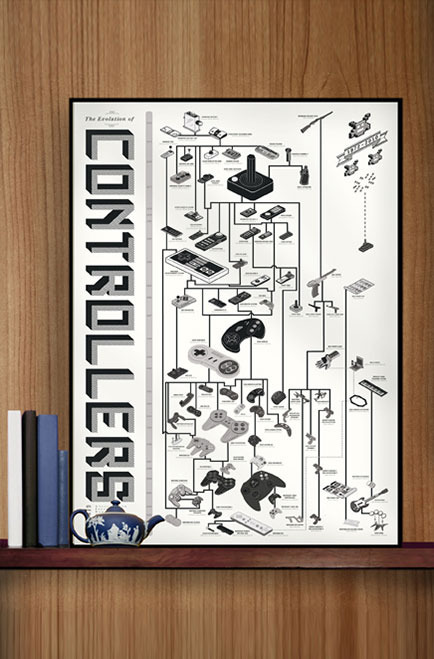 Printed in rich indigo ink. 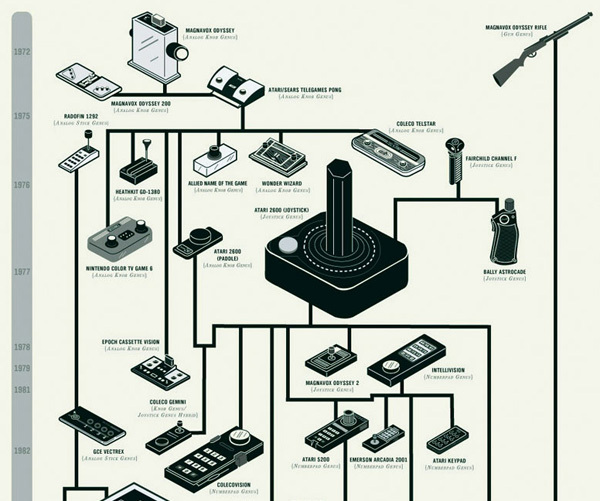 My favorite is still the Intellivision controller which was basically a phone dialpad with a weird disc you used to move.